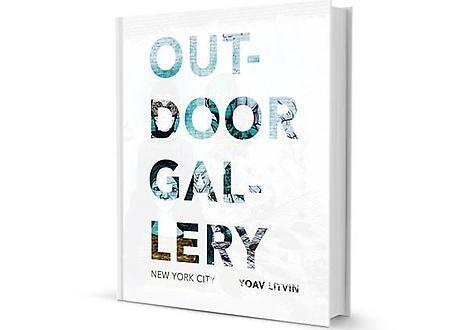 Hop off The Bronx Trolley at The Bronx Museum and hear writer and photographer Yoav Litvin discuss his new book Outdoor Gallery - New York City, a book featuring works created by 46 artists working on the streets of New York City. Yoav Litvin will be joined by Alice Mizrachi, teacher, artist, and contributor to Outdoor Gallery. Read more about Outdoor Gallery - New York City in The Huffington Post. 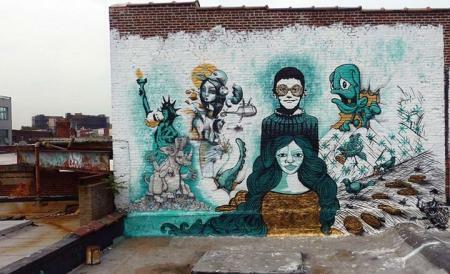 Outdoor Gallery – New York City documents the vibrant and diverse outdoor art of New York City, a global epicenter for street art and graffiti. The beautifully photographed artworks are accompanied by illuminating interviews, consisting of the artists’ thoughts on New York, the current state of street art, the future of this dynamic medium, and their own work and processes. Published by Gingko Press. Yoav Litvin is a photographer, writer, and well-published scientist living in New York City. In Outdoor Gallery – New York City, he applies his scientific rigor and methodology to form a unique, contemporary and unbiased survey of the art on the streets of New York City. Yoav Litvin contributes to popular blogs that cover New York City-based and global street culture. The Bronx Trolley is a project of the South Bronx Cultural Corridor. Making a cultural loop through the lower Grand Concourse and in other sections of the Bronx, it provides an innovative way to travel free while giving Bronxites and tourists alike the opportunity to sample several of the area’s hottest cultural attractions, dining establishments and entertainment venues. For more information or to get details on riding the FREE Bronx Trolley click HERE.